The 2019 Rotary Youth Leadership Award camp organised by District 9455 was held in Bickley from January 12th to 18th. 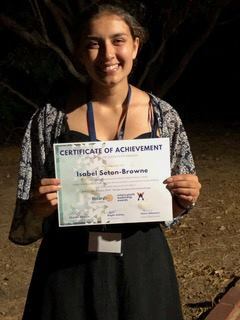 This year we sponsored Isabel Seton-Browne to attend. The Rylarian that we sponsored last year, Yads Ellegala, returned to the 2019 Camp as a leader. We look forward to hearing from both Isabel and Yads at our Club meeting on 13th February 2019.